I don’t have all the answers but here are 4 of my favorite career books that will help you answer your nursing career questions. They are are different in what they offer but all worth reading depending on where you are in your nursing career path. Click on the links or pictures below to learn more about each one. Even if you’re only thinking of making a career move, I still highly recommend reading one of these books. It will help you become clear and focused on making that decision. I have all 4 books but you don’t need all 4, one will do just fine, so explore and see what fits you best. Affiliate links do apply here, meaning if you click through and buy I will be paid a commission. Thanks so much for your support! Tons of information in this book from re energizing your career to how to write an effective nursing resume, interview like a pro, discover your own unique talents and skill sets and more. Highly recommend! 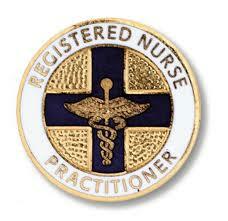 Also for LPNs, especially if your interested in becoming an RN. This is about advancing your nursing career and salary. Filled with proven techniques and real-life case studies, of exactly “how to plan your career for optimal income and success.” Interesting examples, worth reading especially for new nursing grads. This is all about converting your nursing career into YOU, Inc. In today challenging healthcare industry you need to know how to market yourself so you can get the nursing job you always wanted. I love this book and believe in it’s message – Take Charge Of Your Nursing Career! This book will show you how. This is my favorite book of the four because it helps you discover what you really want and need – instead of what your think you need. This digs deep to discover your true passions and core values, which leads to creating a practical plan in achieving your goals in life and career. If you really want to explore what your natural talents and abilities are so you can match them with your ideal nursing job, this is the book for you. I hope this helps you get started in planning your nursing career or making a move to a new specialty. They are written by proven leaders in the field of career and life development. Click over to Amazon to read more, take your time and pick the one that’s right for you. Do share with your friends or nurses you know, especially any nurse who is burnout or frustrated with their current positions. Of course you can always contact me if you have any questions or if you have an affiliate or referral program and want me to help you promote your product, event, service, book etc. definitely use the contact form to connect. I love promoting all things nursing!